What’s a medieval occasion like a royal wedding without some medieval-sounding demands from a local politician that the police clear out the beggars and vagrants? Reuters reports that Simon Dudley, the Tory council leader for the Royal Borough of Windsor and Maidenhead, wants the cops to “focus on dealing with” the “epidemic of rough sleeping and vagrancy” in Windsor before the town plays host to the royal wedding of Harry and Meghan and the flood of American tourists who will probably be arriving. What are you, the Sheriff of Nottingham? Our work on the SWEP [Severe Emergency Weather Protocol] has provided us with the evidence that a large number of adults that are begging in Windsor are not in fact homeless, and if they are homeless they are choosing to reject all support services to beg on the streets of Windsor. In the case of homelessness amongst this group, it is therefore a voluntary choice. Recently, council officers secured emergency accommodation for every individual begging and rough sleeping in Windsor, through making contact with each one. A significant number of the adults chose not to turn up and use the accommodation that we had purchased for them, instead choosing to remain on the street begging. This is creating a concerning and hostile atmosphere for our residents and the seven million tourists who come to Windsor each year. It is becoming increasingly concerning to see the quantities of bags and detritus that those begging are accumulating and leaving on our pavements, at times unattended, thus presenting a security risk. “The whole situation also presents a beautiful town in a sadly unfavourable light,” the letter added. Contrary to the image that Dudley paints, the man to whom the letter was addressed, Thames Valley Police and Crime Commissioner Anthony Stansfeld told the BBC that many of those on Windsor’s streets “very vulnerable and have mental health issues,” adding that, “It’s not as easy as putting them in a police van and dumping them in Southall or somewhere. It’s much more complicated than that.” It’s also important to remember that real estate prices in the London area have become absolutely astronomical, even as “austerity policies” in the UK have seen cuts to social services. 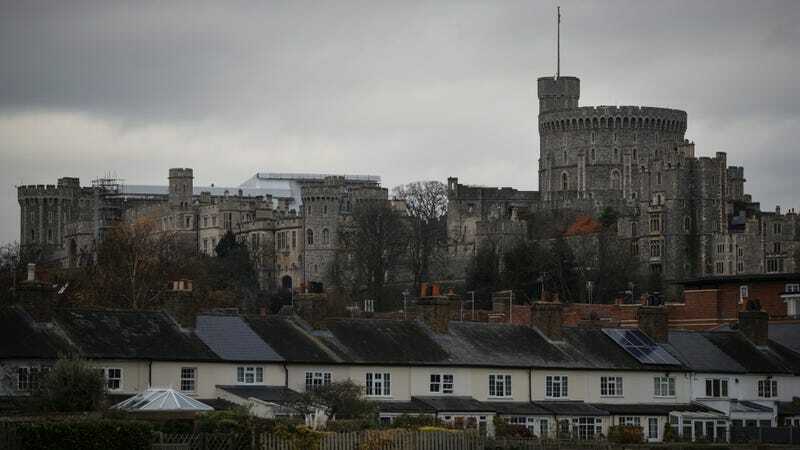 The Guardian went out onto the streets of Windsor and spoke to some of the homeless; one man explained that he’d been offered accommodation in a town nearby, but he wants to stay in Windsor because that’s where his elderly mother is. Congrats to Simon Dudley for his new position as royal wedding narrative villain! Enjoy the company of Princess Michael of Kent.